About Us - B & M Slots Pty. Ltd. Founded in 1988, B & M Slots has grown to become a leader in the design, supply and installation of solutions for the production of eggs, poultry and pork. With over 25 years experience in agricultural engineering, B & M Slots can provide a complete solution for intensive and free range farming on any scale. 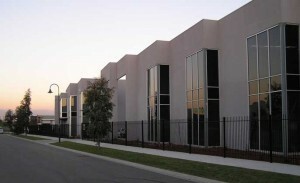 The company operates from 2,800m2 of warehouse space in Thomastown, in the north of Melbourne.